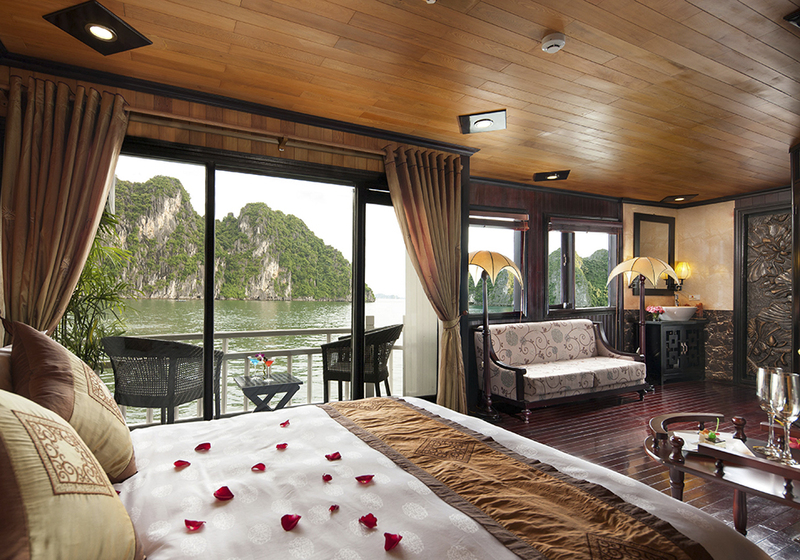 Unlike most cruises in Ha Long Bay, Carina Cruise benefits from being one of the more intimate junks. 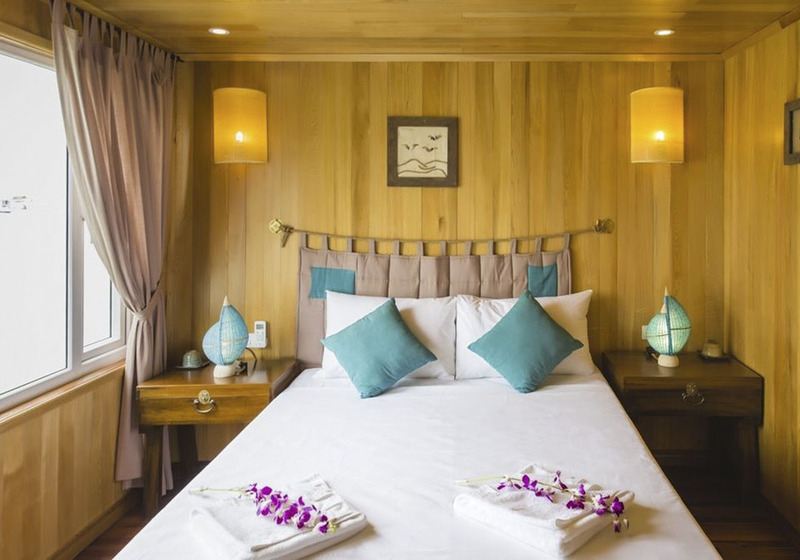 With just 9 luxury en-suite cabins, and manned by a young and experienced crew of 12. We cater for small groups, couples and individuals. 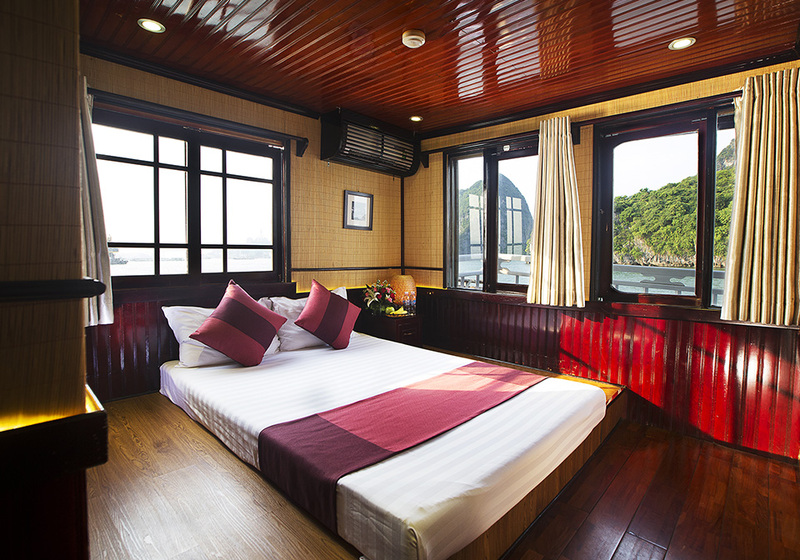 Our cosier atmosphere provides a more personalized service compared to most other cruises in Ha Long. But The Carina’s generous size means that you won’t feel cramped. We are large enough for you to keep yourself to yourself but small enough to feel that you are travelling with a group of friends. And our size is our greatest advantage. It gives us access to other parts of the Bay which are less populated and less touristy, helping you to feel you are not in a tourist trap constantly surrounded by loads of other junks. The Carina cruise supports sustainable and responsible tourism to ensure the Ha Long Bay environs remains cared for and not exploited. We want to contain any negative environmental impact of the cruise industry in Ha Long Bay as well as supporting conservation and protection initiatives and working with the local community. Arrive at Sung Sot Cave, explore the cave and find out how the cave was named a Surprising. Transfer to smaller boat to exploring Maze Cave, you will have chance to visit one of the most beautiful cave in Halong Bay and step up to the top of the mountain to get the amazing view of World Heritage. 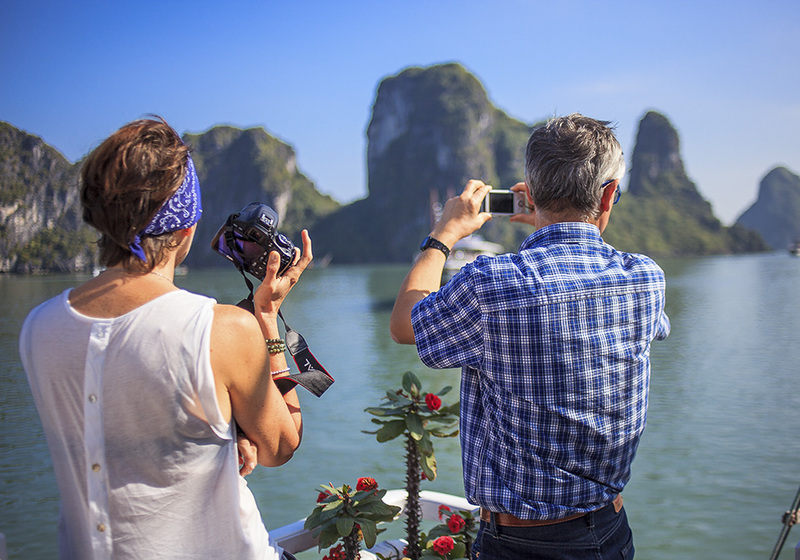 Mingling yourself in the stunning views of the Bay and it’s dramatic limestone islets as we sail through the calm emerald waters heading to Cua Van floating Village. Our indoor restaurant seats up to 20. Relax and unwind. Enjoy pre-dinner or after-dinner drink, relax, browse our selection of books and magazines or watch DVD on the plasma TV. The bar is fully stocked with fine wines, spirits, alcoholic and non-alcoholic drinks. Dine on traditional Vietnamese cuisine and have a drink while the sun sets over Halong bay.